It’s true that we’re finally living in a time when women’s empowerment is gaining more momentum and gender equality is a bigger topic than it ever was. But even in modern days, some good old-fashioned romance never hurts! 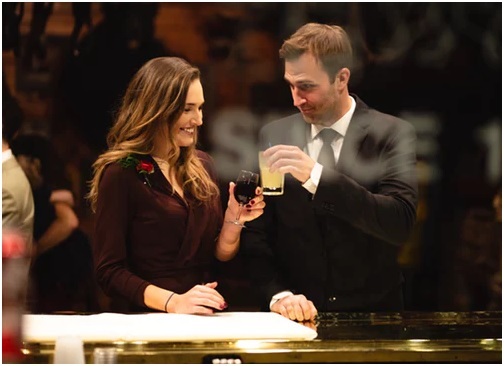 A true gentleman is a timeless concept—you may not be required to open doors and pull the chairs anymore, but there are still some essential ways to make a lady feel special! Have a look at a couple of these tips if you want to figure out how to make a girl feel giddy. No matter how common a gift idea it is, women never get bored with this serotonin-releasing goodness. Receiving a box of chocolate is like been sending dozens of red roses, but edible! Of course, it’s the thought that counts; so you have put some effort into making your girl happy, paid attention to her personal taste, and gifted her a pretty box on a random day, or when she is feeling down? Congratulations, you rock! Diamonds are still a girl’s best friend. Especially on special occasions like a proposal or an engagement, diamond rings are the one thing you can never possibly go wrong with. You can find a wide range of models catering to different budgets so don’t feel all gloomy if the idea gets a little overwhelming at first. Feel free to invest in this symbol of love and your better half will carry it with pride for the rest of your lives together. Women generally tend to be the meticulous ones in relationships, responsible for planning almost everything. 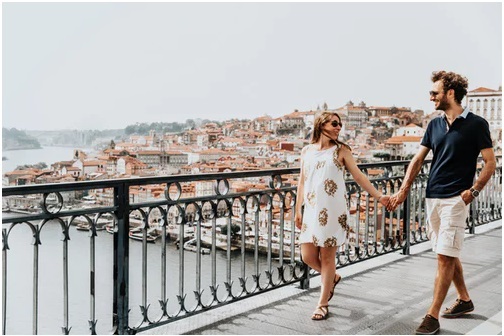 You can surprise them by breaking this cliche and planning a dream vacation by booking a hotel room in her favorite city, create an itinerary map for the two of you and reserve the plane tickets well in advance. The mere idea of you taking the initiative to explore uncharted territories by her side will surely make her heart melt. Making someone happy doesn’t have to be all about buying things. Sometimes, providing your woman with a shoulder to cry on, or listening to her rant after a long day at work can be the greatest gift you can give her. You can prepare her a big breakfast, help her with daily chores, or try to lighten the load on her shoulders, whatever it may be. Nothing says “I love you” better than your actions; so go ahead and show her how much you care about her happiness and well-being. When it comes to gifts and surprises, it’s got to be pretty much personalized. Everybody likes to be recognized for who they are, so keep an eye on your special lady’s hobbies, passions, and interests. If she loves music, you can take her to the concert of her favorite band, or have a date night at an art gallery if that’s what puts a smile on her face. You can have a stay-in date with her favorite movie on TV, or go hiking or camping together if she is the active type. Make sure you study her preferences closely, and you will become absolutely charming in her eyes when you show the willingness to spend some quality time together. In the middle of your busy daily schedule, it can be easy to forget what matters the most. Don’t let this come between you and your loved one; when you have to be away, do stay in touch! A simple text message or a five-minute phone call can do the trick—she has likely had her fair share of ghosting in her lifetime, and she deserves better than that! Show her that you’d never take her for granted, and she’ll definitely appreciate all the effort. You must have heard a million times that women are more attracted to men that can make them laugh. It may be a very common statement, but it’s backed by science! Multiple studies show that sense of humor plays a big role in women’s partner selection process, so if you want to be a real heartthrob, you’d better start working on your comedic skills. If you are rather the shy and introverted type, you can still share an atmosphere of fun and laughter by taking your girl to a stand-up show or a comedy movie. Especially in our 21st-century world, dating advice tends to revolve around keeping up careless and laid-back appearances. This might not always work to your advantage though. The social context has changed, and people crave for human connection, empathy, and respect above all else. So there’s no point in playing games or trying too hard to come off as an alpha male if that’s not necessarily who you are. Instead, be yourself and don’t be afraid to show vulnerability. Your honesty and integrity will stand out and mark you out as a real catch! Trendy Engagement Ring Designs for your Man!